10 super prize packages to be won! 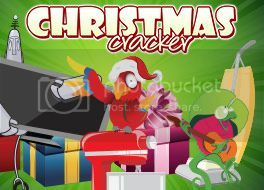 Play your way into the Christmas Cracker prize draw for your chance to pull one of 10 super prize packages! The Christmas fun has already began and it is not too late to participate. Still open is the last week of November that will run through to November 30th. Join the 75 ball Buckingham Palace room and collect the weekly pattern to spell WREATH for a chance to win smashing Amazon Vouchers. How much are the vouchers worth? It is kept a complete mystery and you'll be surprised you when you open your email. There over 8,800 bucks in Jackpots starting December 21st to New Year's Day! Pre-buy tickets early and don't miss out on your chance to win. Join Marvin on 22nd December at 10pm for his massive Xmas game to win a Sony 50” 3D TV with Soundbar worth £750! Get cards from the Lobby or Diamond Store or earn them for free by bingoing on the Snowflake pattern, depositing or playing slots and bingo! Join them from now through Sunday 21st Dec for the chance to win amazing prizes in the weekly Naughty or Nice Draw. It's Win Win all the way today – get cashback if your luck's not in! If you don't win a prize, you'll get your cash stake back in bonus funds! Only UK players are eliglbe for entry into the Daily Prize draw. spend £10 on our Santa Surprise slot game and you will get a £5 bonus! Opt in and place a Flutter bet 5 pounds or more on X Factor. Then Credit your account with 5.000 Buzz Points on Monday. / Buzz Loyalty points can be redeemed for either Bingo Bonus or All Games Bonus. Opt In and take part from 13th until 24th December; bet365 bingo have got Bingo and Slots Bonuses, extra Loyalty Points and loads of £100 Love2Shop vouchers to give away. Unwrap the present to reveal bet365 bingo daily promotion, then play for a chance to pocket a prize each day. Plus all UK players will get an entry into the Saturday prize draw. 10 lucky players will be drawn to win an incredible prize. Top prize is a Trip for 2 to Las Vegas! Unwrap a present to win a cash prize up to £250! Select one of 4 presents on the Promotions Page on Desktop and play a minimum of £1 between Wednesday 17th and Tuesday 23rd December for your chance to win. 12 Days of Christmas with over $30,000 to be won! The 12 Days of Christmas patterns are playing now through December 24th in the 12 Days of Christmas! 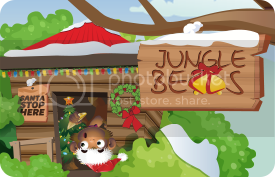 Plus there will be a contest everyday that will give one lucky player a chance to shake the Christmas tree filled with additional cash and prizes! Get entry into prize draw to win a share of £3,000!